Boris is a fantastic band from Japan. I absolutely love the noisy textures this band is capable of. It’s incredible. They played in my home town a couple of years ago, and I so regret not going to the show (I plead I was out of town as my reason). A couple of years ago, I posted Wata’s board, so it was great to see Takeshi Ohtani’s board on Instagram. 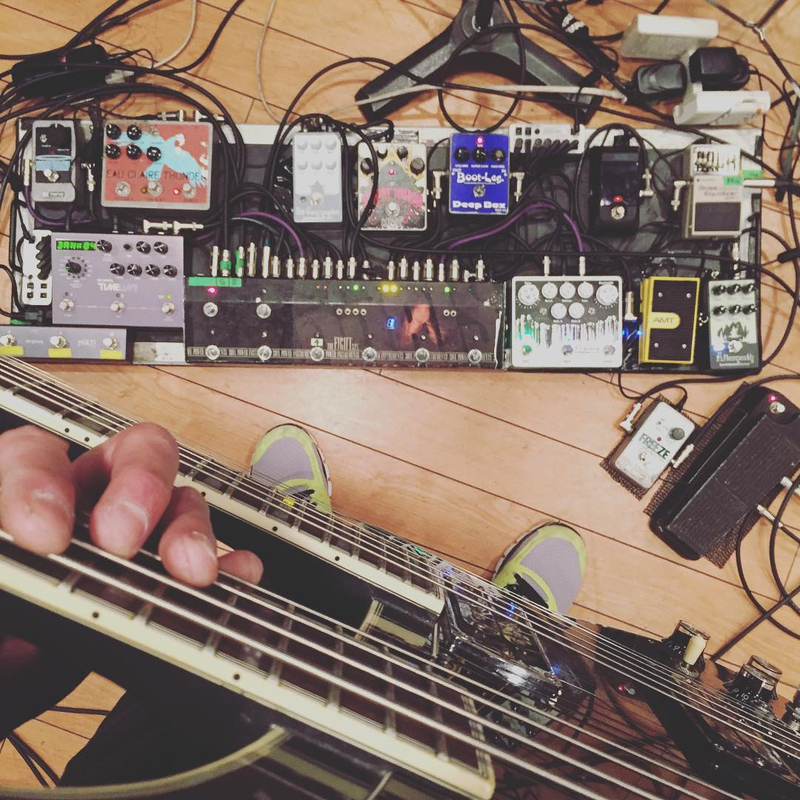 Takeshi provides the super low end to the Boris sound, so I was super interested in his bass board set up. He plays a monster double neck (bass + guitar) combo with a very robust pedalboard. Based on the visible string gauge for the guitar.. could be strung up as baritone. Here is the break down of pedals. I was not able to identify the specific Korg FK-* volume/wah pedal. It’s definitely older, but it could be modified. Not sure. Also, I was not able to ID the programmable looper he’s running. If anyone can help ID those specifically.. that would be great! If you see anything incorrect, or missing, etc.. please comment below. Also, let me know what you think about the band Boris and Takeshi by commenting. Thanks!